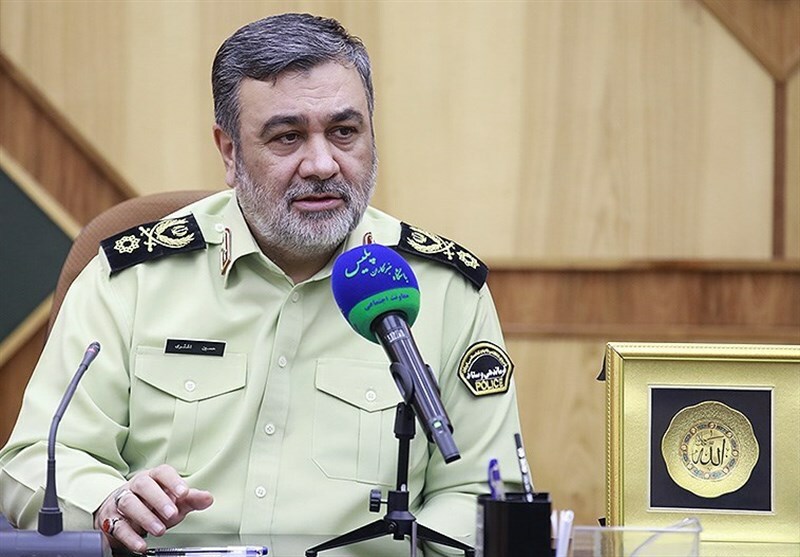 Iranian Police Commander Brigadier General Hossein Ashtari highlighted the facilities provided for pilgrims visiting Iraq during Arbaeen season and said no security problem has been reported along the common borders with the Arab country so far. Speaking to reporters on the sidelines of his visit to the southwestern border crossing of Shalamcheh on Sunday, Brigadier General Ashtari expressed his gratitude to the Arbaeen pilgrims for cooperating with the police forces and said the pilgrims’ passage has become easier compared to previous years. Thank God, there have been no security problems in the country’s three border crossings, namely Shalamcheh, Mehran, and Chazabeh, the police chief added. He went on to say that police forces have been stationed in all routes used by pilgrims to reach the Iraqi borders and provide them with needed advice.